This photograph is simple yet stunning. 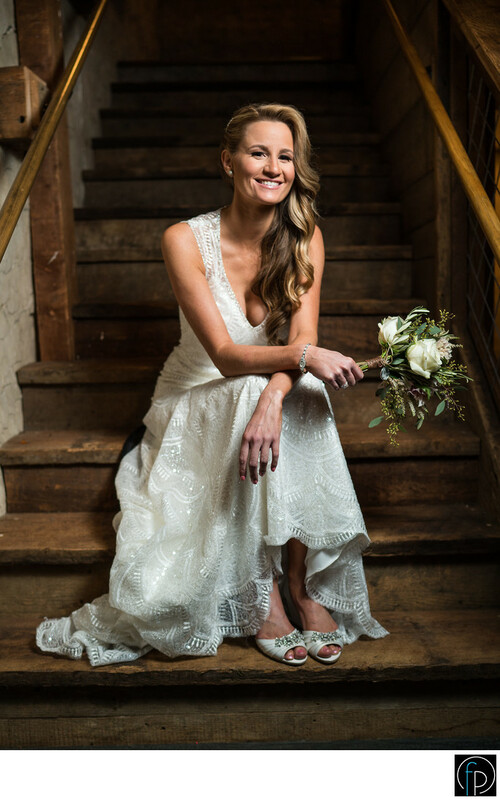 The bride poses and smiles with pure joy, on wooden steps, at Tyler Arboretum, located in Delaware County, Pa, before her wedding ceremony. Tyler Arboretum is a great place to look if you want a venue that isn't completely traditional. It's great for that nature-loving couple. The grounds are spectacular, and they feature an exclusive catering company, Jeffrey A. Miller Catering. Location: 515 Painter Rd Media PA 19063.